Delivered Cheyenne 4/3/44; Gr Island 21/3/44; Presque Is 6/4/44; Langford Lodge 7/4/44; Assigned 545BS/384BG [JD-M] Grafton Underwood 15/4/44; Missing in Action Oberpfaffenhofen 24/4/44; flak damage then shot down by Swiss AF, crashed Lake Greifensee, Switz; 6 KIA, 4 INT; Missing Air Crew Report 4347. 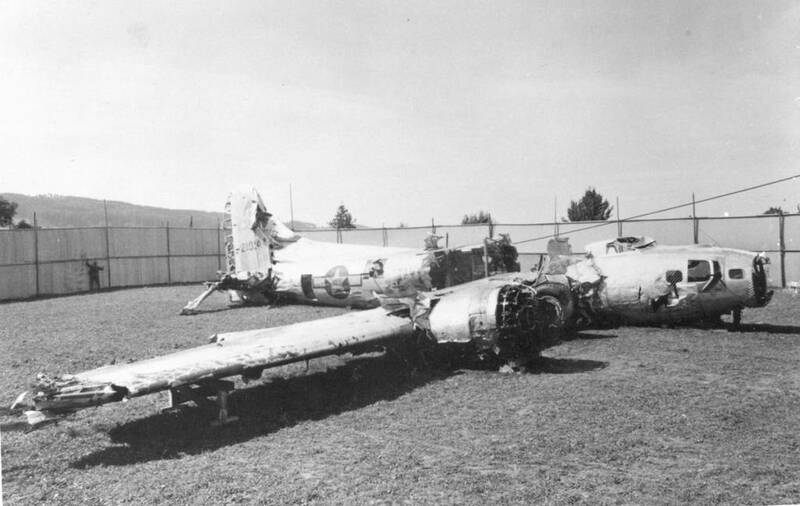 (aircraft recovered from lake 29/8/53 with Burry’s body, then later scrapped.) LITTLE CHUB.